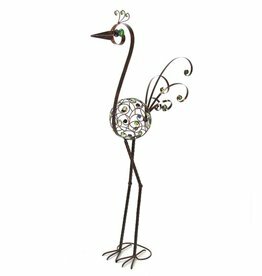 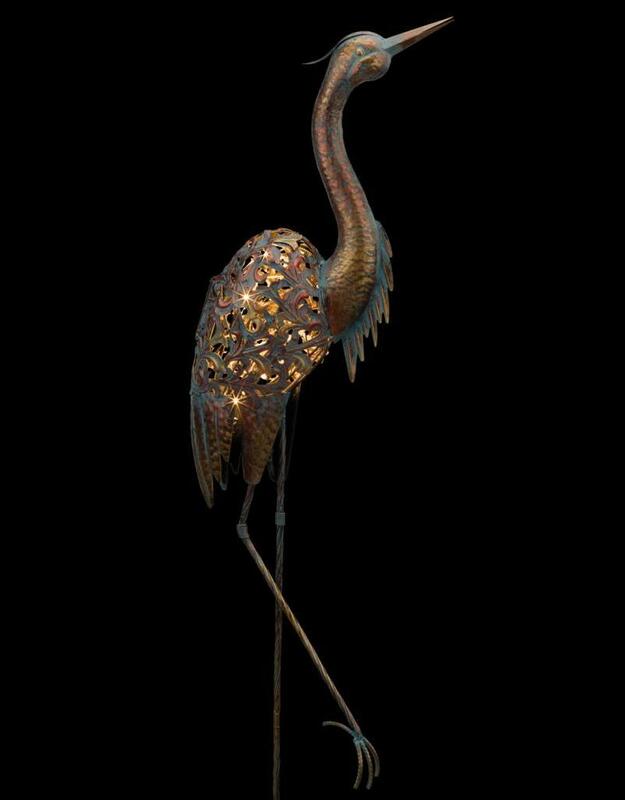 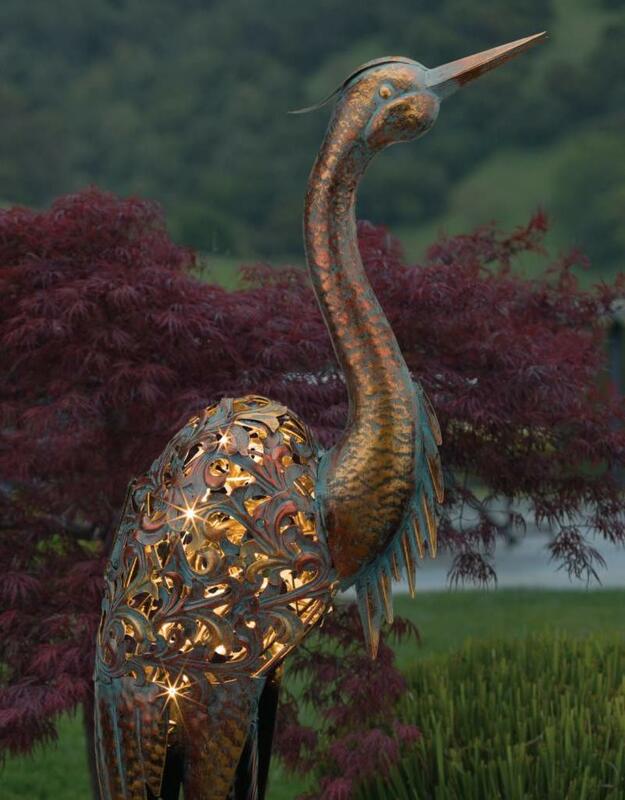 Refined and elegant, this handcrafted metal Solar Heron Stake brings a serene glow to nighttime in the garden. 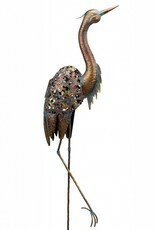 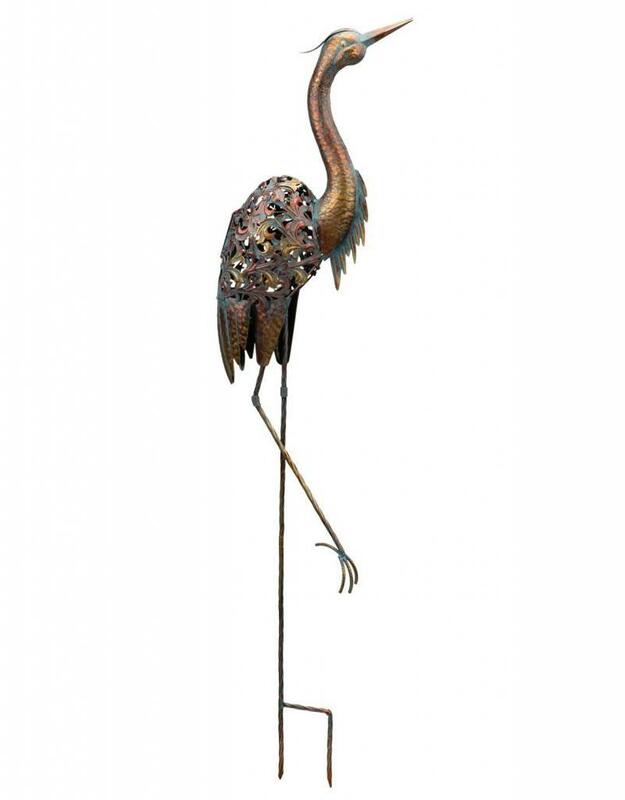 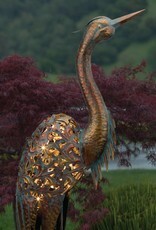 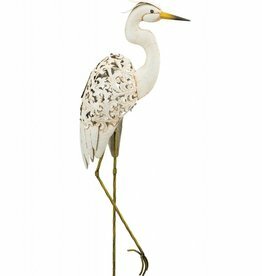 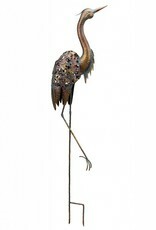 Bring a touch of elegance to your garden with this hand-painted shimmering copper patina Solar Bird Stake - Heron. 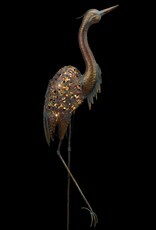 A solar panel on the back of each bird powers a string of LED lights that glow through the beautiful scroll cut-outs.